Recently. I had a surge of work fall in my lap. Well perhaps there was some skill and perseverance involved in landing them. But since then I have hit a dry spell in the booking arena. And what I find for myself and the actors who come to work with me is, while in a slump, self doubt creeps in, along with a desperate attempt to figure out what I'm doing wrong. change your frame of mind. It can totally alter your mental state... and nothing looks better on an actor than a recent booking! Take a nice breath, even in the room, to connect to your success and then start the scene. Then start the work that you love to do.... Acting! Remember it is fun! Auditions, when you give 100%, can be tremendously satisfying. When we are not looking at the final result and just doing the work, we open ourselves up to our creativity and, ultimately, surprise ourselves! This is why you got into acting to begin with, because you have a gift, a passion for the craft. So make that more important. are some old habits you have slipped back into. Or, discover another way to approach the copy that you had not thought of. It is always helpful to keep sides you have auditioned for, and use those when coaching to help pinpoint areas to work on. Many times all that is needed is a boost of confidence, reassurance that you are making good choices and committing to them. Rarely, do we get any feedback from auditions and acting in a vacuum, in your own head, can bring on a big dose of self doubt. Workout groups are great as well. Anywhere you can have the chance to get up and do copy and practice your craft is worth it. So when your agent does call, you are ready as rain to show up. ​Keep it Real Acting offers ​workouts every week, both Commercially and Theatrically. Finally, take advantage of a get away this summer! A sure way to book a job is always to plan a trip; or if you can't get away, make a fun lunch date with a friend, or get that treat you've been denying yourself for a month. Acting is a longevity game, and a slump can be put to good use if you use it wisely; reassess, get into that class, make a little time for fun, and then move forward. Remember, be kind to yourself and acknowledge your victories, because it's a surefire way to coast you to the next one. 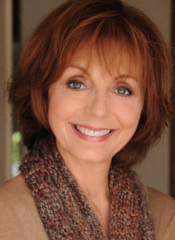 Judy Kain has been a professional actress now for 37 years, (350+ commercials, 80+ Film/TV roles). 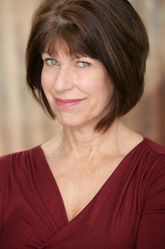 She founded Keep it Real Acting, a studio dedicated to helping actors succeed in the business. Read Her full bio here. She recently starred in a 26 commercial Campaign for STARZ, where she played a Superhero Hotline Operator.